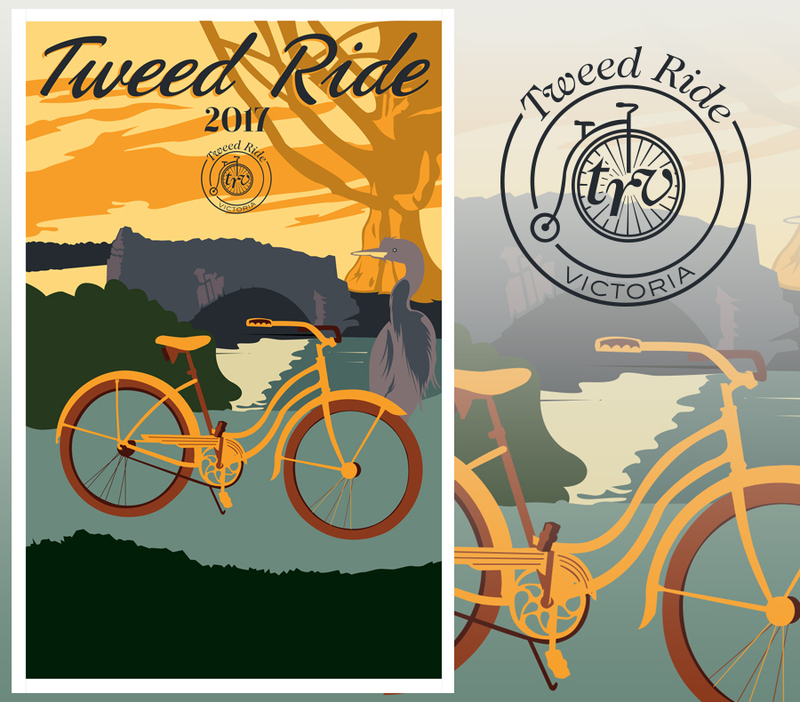 Each year I contribute design and illustration to the Victoria Tweed Ride. The ride tours Beacon Hill park and surrounding areas, so I illustrated the most iconic parts of the park for the poster this year. The stone bridge, the giant sequoia tree, a pond and a regal looking heron. The addition of a bike completes the story. Tweed riding is fundraising at it’s classiest.